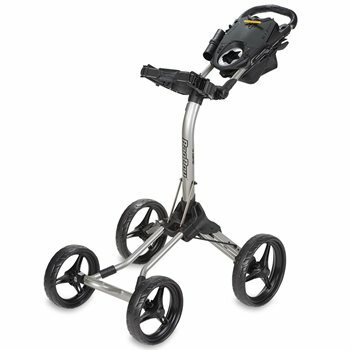 The BagBoy Quad XL push cart features new and improved over aluminum frame tubing and four oversized wheels for superior stability and easy roll. It is stand and cart bag friendly with its upper bag bracket that has adjustable support arms. The Quad XL fold downs in a simple two step process and becomes super compact for storage and transport.